Occasionally, I find myself standing in the middle of the grocery store without a plan. While I usually decide what my family eats ahead of time, sometimes I just can’t find inspiration. When wandering around the grocery store doesn’t give me any ideas, I always go for low FODMAP Tacos. As with most diet changes, the trick to long-term survival is being prepared. Because I know I can’t always make a decision, my husband and I have agreed to save these low FODMAP tacos for days I’m out of ideas. Since this recipe is one of our favourites, no one minds when it pops up on our menu. Think these low FODMAP tacos sound great, but you don’t have time to try them now? You can PIN THIS POST for later. Think tacos seem like a FODMAP death trap? Don’t worry. With some clear instructions, your whole family will enjoy these low FODMAP tacos. If you’re in the elimination phase, you’ll need to use a gluten-free wrap. This can be a traditional corn tortilla, a gluten-free product like brown rice tortillas, or a fresh iceberg lettuce leaf. If you’re using a lettuce leaf, cut the stem off of the lettuce and pull the leaf from the bottom up to prevent tearing. Seasoned Beef: Most commercial taco seasonings use dehydrated onion and garlic. 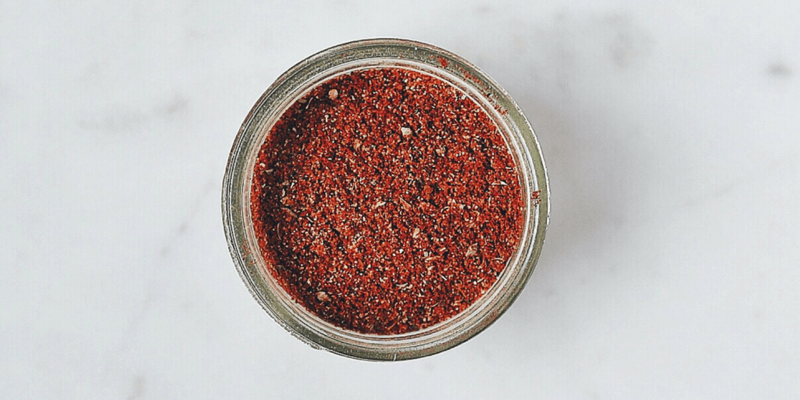 If you need a low FODMAP taco seasoning, you can use my recipe below. Cheese: Hard cheeses like mozzarella or cheddar have a lot of their lactose broken down during the fermentation process. This means you can have small portions of cheese during the elimination phase, even though they aren’t lactose-free. Currently, Monash University recommends limiting your serving size to 40 g (3/8th of a cup) of cheddar cheese per sitting. Tomatoes: According to the Monash app, common tomatoes don’t have any detectable FODMAPs. This means you can have as much as you want. If you’re using a different type of tomato, make sure to check your Monash app for a specific serving size. Avocado: Avocados are high in the polyol sorbitol. But you can still have a small portion with your tacos. Monash recommends limiting your serving to 1/8 of an avocado per sitting. If avocado is your thing, measure out a safe serving and keep it to the side. 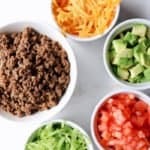 Salsa: You may think salsa is off-limits during the elimination phase, but there are lots of FODMAP-friendly salsa recipes available these days. 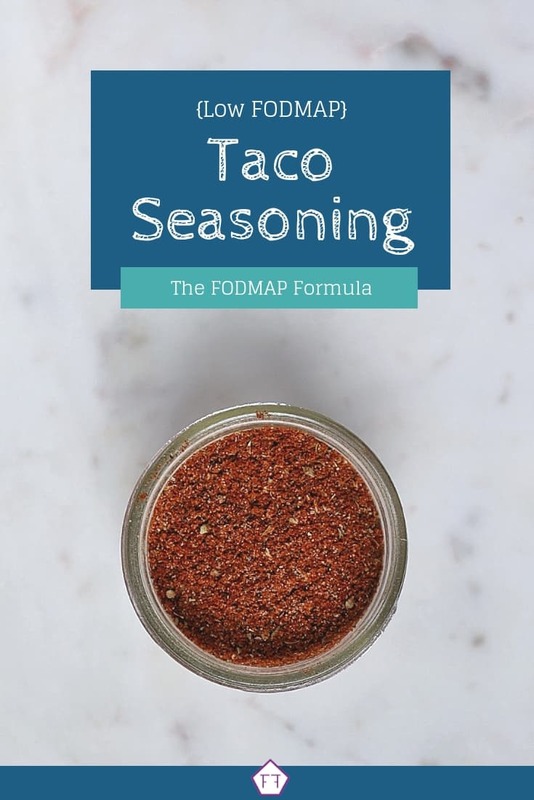 You can grab my low FODMAP salsa recipe here, or you can order a low FODMAP salsa from FODMAP friendly companies like Fody Foods Co. Sour Cream: Sour cream is really high in lactose. A lactose-free sour cream is ok for the elimination phase. If you can’t find a lactose-free product, I’d recommend skipping it for now. If you want to use a topping I haven’t mentioned, check your Monash app for the recommended portion size. Do these low FODMAP tacos sound just right for you? PIN THIS POST for later. Need a side dish for your tacos? You can add always add a side of rice with a touch of salt. You can put it either on the side (to catch delicious taco juices) or, if you’re feeling cheeky, put it right inside. Looking for a classic family-friendly recipe? Try these low FODMAP tacos! Made with FODMAP friendly ingredients, your whole family will be counting the days to Taco Tuesday! 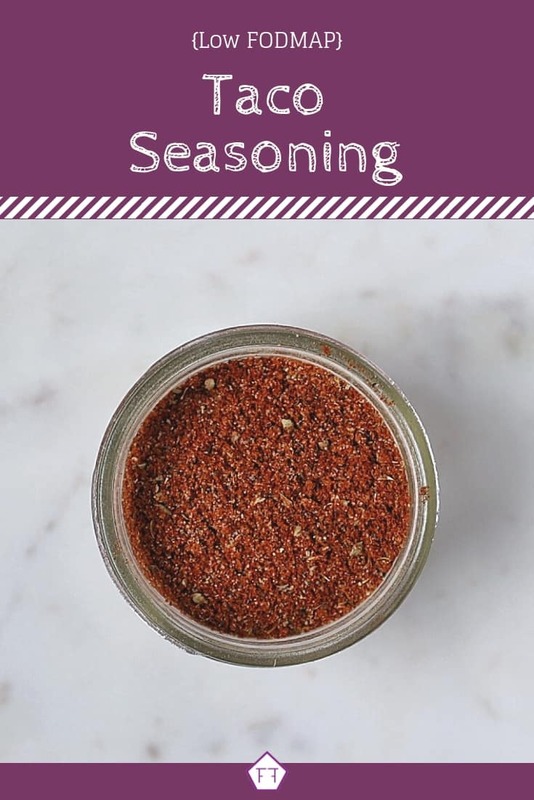 Seal all seasoning ingredients in a Ziploc back and shake until thoroughly mixed. Heat garlic oil in a frying pan on medium and stir in beef. Scramble fry until cooked through. Drain. Return frying pan to heat. Combine 2 tbsp of taco seasoning with enough water to cover the bottom of the frying pan. Pour over meat and stir to combine. Allow liquid to simmer until water has evaporated (10-15 minutes). Assemble toppings: Cut off the bottom of the head of lettuce and gently peel away the large outer leaves for wraps if desired. Shred the rest for toppings. Dice tomatoes and avocados, and shred the cheddar. Serve warm. If you are having trouble removing the lettuce leaves without ripping them, you can double them up when making your tacos. Just make sure you cover any tears or holes as best you can and have a napkin handy! I hope these low FODMAP tacos make your life a little easier. Don’t forget to subscribe to my mailing list below. 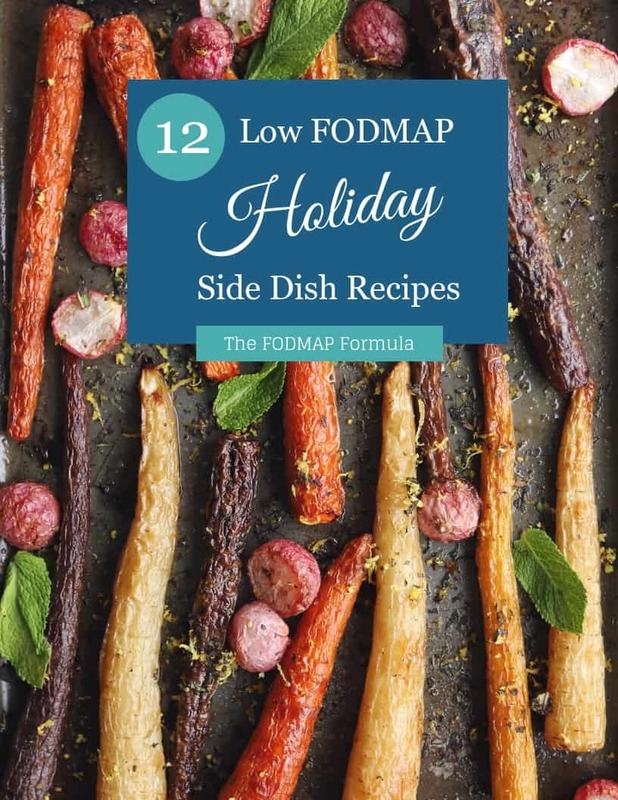 You’ll get low FODMAP recipes and articles delivered right to your inbox. 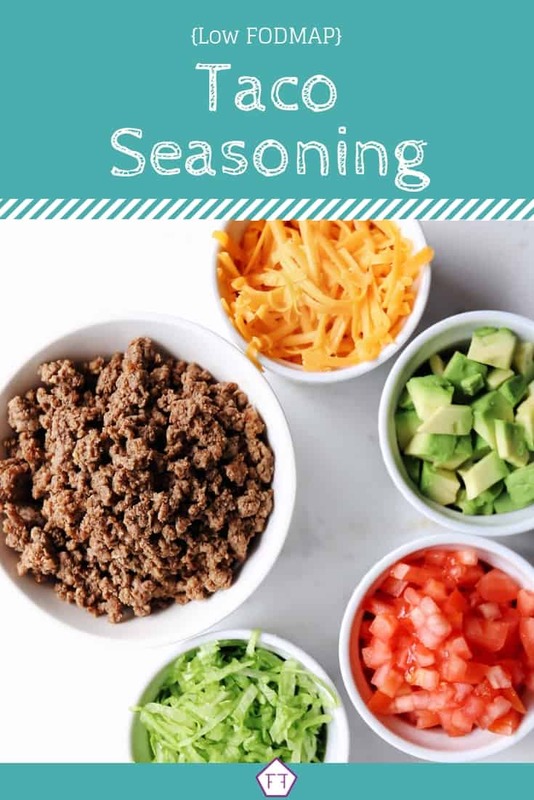 This taco seasoning is delicious! My wife uses the low fodmap diet, and when she asks what I want for dinner this is ALWAYS my first suggestion! Thanks for your feedback! I love hearing back from community members about how they like my recipes. Especially feedback from people who don’t follow the diet out of necessity. Glad I could provide a low FODMAP recipe you enjoy as well! I’m so glad you like my taco seasoning! It’s the closest I’ve come to the storebought kind and it’s so much easier on my tummy. It’s definitely handy that it makes more than one portion, as well. Truth be told, I normally make double the recipe so we have it on hand as we use it for other recipes as well (like my Fully Loaded Low FODMAP Nachos and my Low FODMAP Salsa Chicken recipe). I’m happy to hear I’ve enabled your taco addiction! Delicious! Great alternative to the salt-filled store-bought stuff. I made a gift for a new friend of this, and the pub rub. It was a success, and he’s asking for the recipe! Glad you enjoyed the taco seasoning! I like this because it cuts down the salt in the recipe significantly (as well as the FODMAPs). My husband is obsessed with this one! Glad to hear you and your friend liked the pub rub as well! All of the chili powder in our grocery store has garlic powder in it. What brand do you use? At this point, I’m leaving the chili powder out. I grab a chili powder at our local bulk store that doesn’t have any garlic in it. 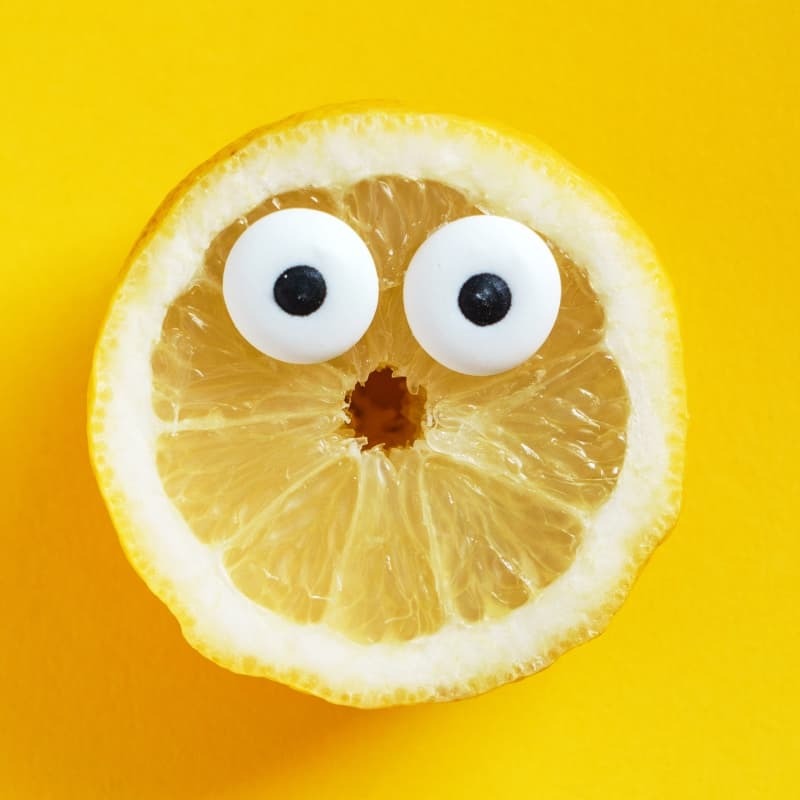 If you can’t find a low FODMAP brand where you are, you can try sourcing some online through low FODMAP companies like Casa de Sante or you can make your own. I like this recipe by Living Happy with IBS. Is this supposed to make a total of 4 tbsp of seasoning (2 tbsp per recipe)? Having mixed up a batch, there is little more than the 2 tbsp required for the taco recipe. Mathematically speaking, if 3 tsp equals 1 tbsp, the seasoning recipe only amounts to about 2-1/2 tbsp. Good catch!! I reduced the recipe to one serving after a few requests, but I forgot to take out the note about it making double. I’ve fixed it, now. Thanks again for the heads up!